Mr. Kearney graduated from the University of New Mexico School of Law in 1985. He is a member in good standing with the Washington State Bar. He is admitted to practice in the United States District Court for the State of Washington. He is also a member of the Kitsap County Bar Association and the Real Property, Probate and Trust Section and the Creditor/Debtor Section of the Washington State Bar Association. He opened his law practice in Kingston, Washington in 1992. He now provides legal services from his home office in Hansville. 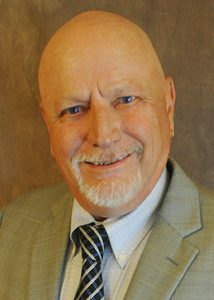 Prior to opening his law practice, Mr. Kearney worked for Kitsap County Department of Community Development as the first Administrator of the newly formed Open Space Preservation Program. In this position, he ran a successful public information and education program; worked with diverse and involved citizens; and gained a thorough knowledge of the workings of our local county government. Mr. Kearney was certified as a mediator and volunteered his services at the Dispute Resolution Center of Kitsap County. The Dispute Resolution Center provides Kitsap County residents with options for resolving disputes themselves, out-of-court, voluntarily, nonviolently, inexpensively and within the community. He is also a member of the panel for the Thomas T. Glover Mediation program with the Western District of Washington Bankruptcy Court. He is also an approved arbitrator with the Kitsap County Mandatory Arbitration Program.